In today’s epsiode we’re mentioning how to eliminate three most toxic habits so you can cut down on money fights and actually build some wealth. Every marriage – healthy or not – will speed bumps and finances are typically a part of them. 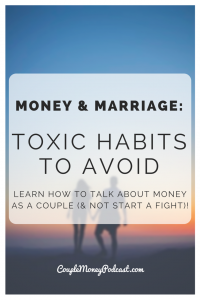 How the two of you handle it can either help you build a stronger marriage and improve your finances or it can tear you apart. There are two ways to criticize someone – you can critique their character or their behavior. In criticizing behavior, you’re calling out something specific and temporary – something the person can realistically change. But in assailing someone’s very identity, you’re issuing a global label – a blanket condemnation of who they are at the core; they don’t just do bad stuff, they are a bad person. The next time you’re talking about money, trying explain how their behavior makes you feel. You can also offer a solution. We think we’re getting our point across clearly, but instead we pick a part and nag on certain things. We keep dredging up all their past mistakes. All of this talking is less about solving a problem and just manages to push couples apart. 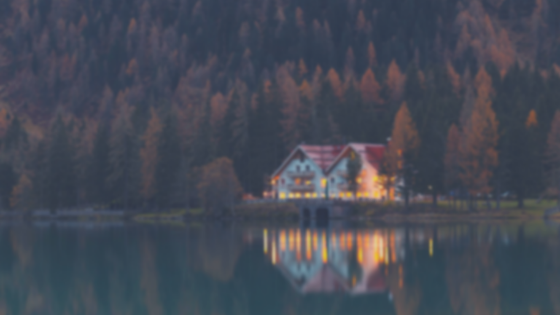 Dr. Corey Allan, a Marriage & Family Therapist, suggests focusing on our intentions. What do you hope to accomplish with this chat? Speak plainly and openly with your spouse. Be concise and focus on one maybe two concerns and then hear your partner out. Make it a conversation and not a long-winded (passive-aggressive) lecture. 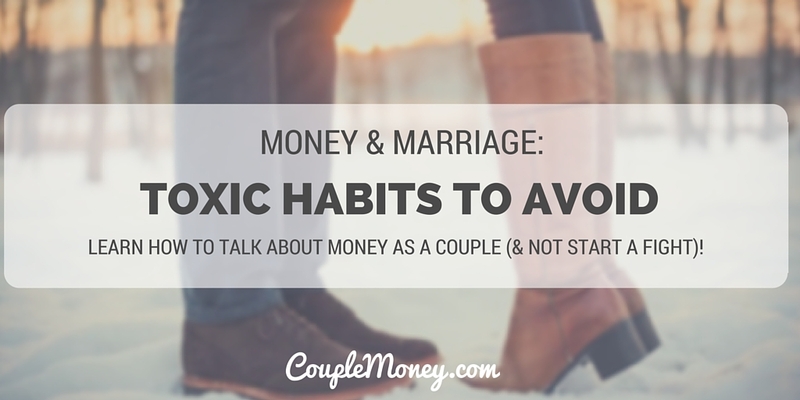 The last toxic habit that can destroy your marriage is using the silent treatment or making threats to get your way. Threats and silent treatments can cause resentment and that can slowly erode the trust you have with one another. You should ask yourself, what’s my intention with this? We may justify it by saying it will make the other person think twice before doing that. It doesn’t work that way though. You do not control your spouses behavior. They do. If things get too tense or you just aren’t making any progress. Take a break and follow up later. There are cases where some drastic change has to be made and you should get help in those situations, but if you’re using threats as you de facto way of getting things done, there’s a big problem. No one is perfect and slips will happened from time to time, but if we make it an effort to be communicators and listeners, our spouses are more likely to give us the benefit of the doubt when we make these mistakes. I’d love to hear from you about how you’ve improved with your money chats. Tweet me at @CoupleMoney or leave a message here in the comments.